Snoop Dogg is an icon of rap. With a 25 year career still going strong, he has released hit after hit, and stayed an ever constant presence in pop culture. He’s reached mainstream success very few rappers have, and is the gold standard when it comes to longevity in rap. 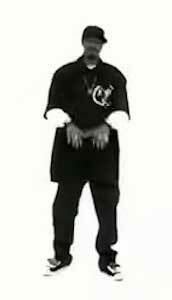 In 2004, 12 years after his debut on Dr Dre’s “The Chronic”, he achieved his first #1 on the Billboard Hot 100 with the Neptunes-produced “Drop It Like It’s Hot.” The song went on to be named the most popular “Rap Song” of the decade by Billboard. The song starts out with an instantly recognizable bridge featuring Pharrell dragging out the name “Snoop” for an extended period of time, while the beat kicks in behind him. The hook then comes in and is super catchy with the phrase “drop it like it’s hot” repeating after every line. That repetition is what makes this song such an earworm and so easy to sing along with. Pharrell raps on the first verse, with Snoop handling the chorus, second, and third verses. The beat is very different from anything else in hip-hop featuring mouth click noises as the main beat source. That alone makes the song a pop culture sensation, especially with the catchy hook. 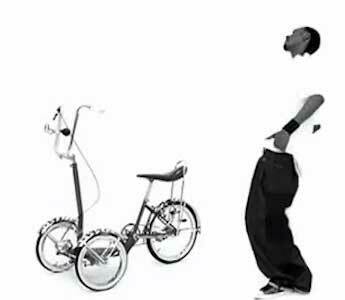 The video features Snoop and Pharrell dancing around cars, bikes, and girls in a white room. 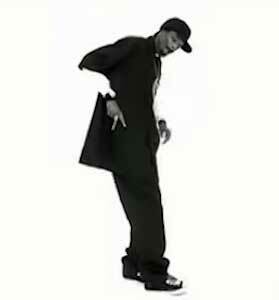 Snoop is seen wearing a pair of chucks in the video. Unfortunately, their color and style aren’t really distinguishable because the video is shot in black and white. The video is mostly just there to showcase the fact that both Snoop and Pharrell are able to drop it like it’s hot because they are legit. Drop it like it’s hot like you’re Snoop Dogg.